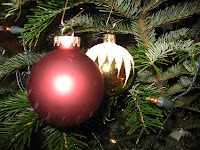 Since it is once again that time of year, I would like to thank all the readers of this little website and wish a most Merry Christmas and a Prosperous New Year to those who celebrate these festivals at this time of the year and, to those who do not, please accept my good wishes for your special days. Stilton and port wine is one of the few Christmas traditions associated with cheese and so it is appropriate to make reference to the King of (English) Cheeses. Stilton is a traditional Blue cheese with PDO status made in the English counties of Derbyshire, Nottinghamshire and Leicestershire. 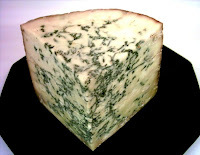 Like all Blue cheeses, the ripening of Stilton is dominated by the metabolism of the blue mould, Penicillium roqueforti which leads to high levels of lipolysis and further metabolism of free fatty acids to alkan-2-ones which dominate the flavour of Blue cheese. The Stilton Cheesemakers Association have a nice website including a good video of how this traditional cheese is made.